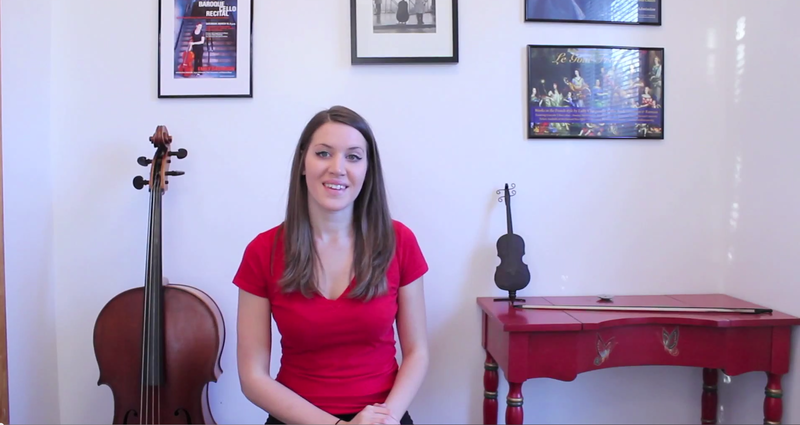 Emily Davidson is a writer and baroque cellist in the Boston area. Her unique skill set as a teacher, writer, speaker, and performer gives her a distinguished voice in the classical music world. Emily has been blogging for over 10 years and has been teaching cello, music history, and performance practice since 2004. Emily received her Master’s degree in Early Music Performance from The Longy School of Music of Bard College as a student of Phoebe Carrai. She earned her Bachelor’s degree from The Hartt School at The University of Hartford in Cello Performance, where she was a leading member of the school’s Collegium Musicum directed by Emlyn Ngai. She has studied baroque performance practice at festivals and academies nationwide and performed in masterclasses for Manfredo Kraemer, Tanya Tomkins, Judy Tarling, Elisabeeth Reed, Rachel Podger, and Kenneth Slowik. As a teaching artist, Emily gives lectures in public schools on baroque music, historical string playing, and music history. She produced her debut album, BASS SOUNDS: Music for Unaccompanied Cello from the Early Baroque, in February 2013, and followed with BASS SOUNDS: Evolved in July 2014. She also released OldStyle, an album of classical remixes. Learn more about Emily on her website, like her on Facebook, or watch her on YouTube. Click here if you’re interested in supporting her work.